100 river miles later and our motley crew is still alive. We did it again and this time had ice to SPARE. We planned the coolers, prepped the food, bought the booze, and drove the hours. 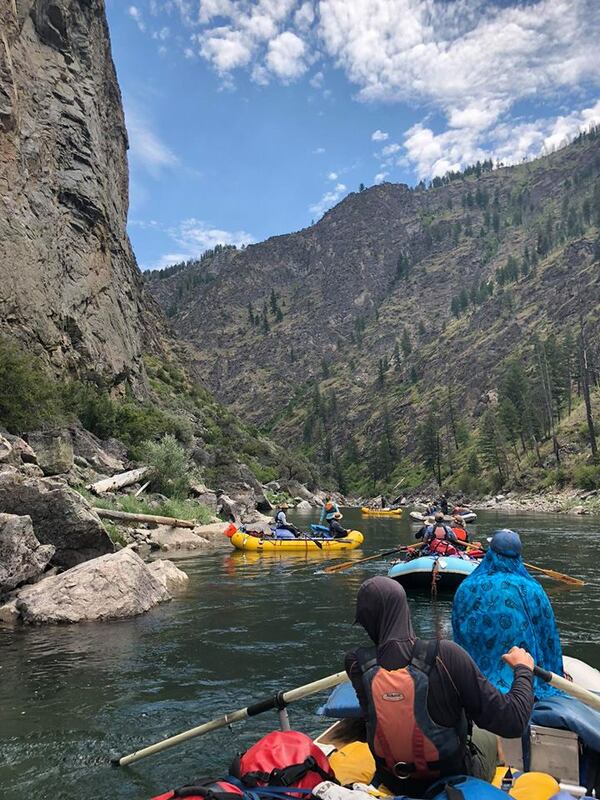 Rafting the Middle Fork of the Salmon is a trip none of us will soon forget! This is the permit every boater is trying to get, for good reason. I have never seen water that clear in a river. We only had 3 people fishing but the catches were a plenty (all release on non-barbed hooks). Settle in for the run down. Step 1 - Get to Idaho. This was a long long drive and we slept in a random field in Wyoming on the way there. Not the first time. 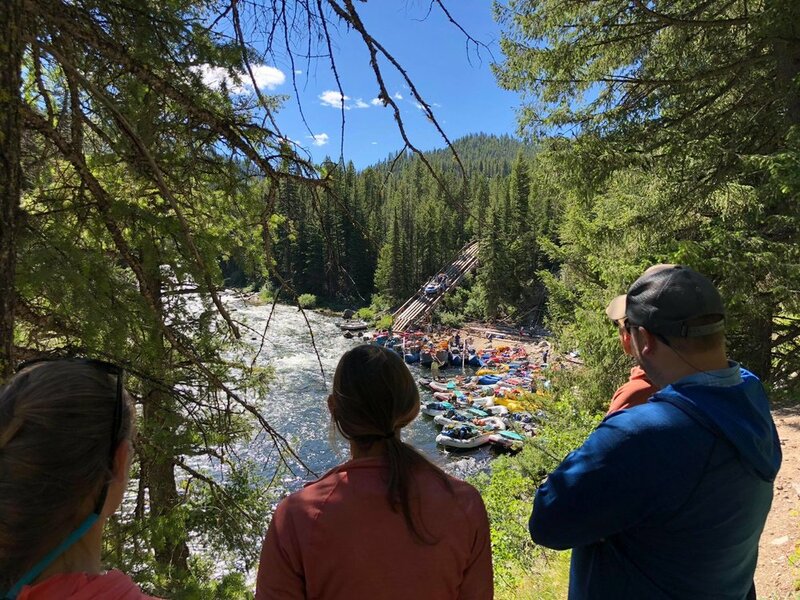 You want to get to your launch, Dagger Falls, a day early so that you can meet with the ranger and others holding a permit for the same launch date. At that meeting campsites are handed out. 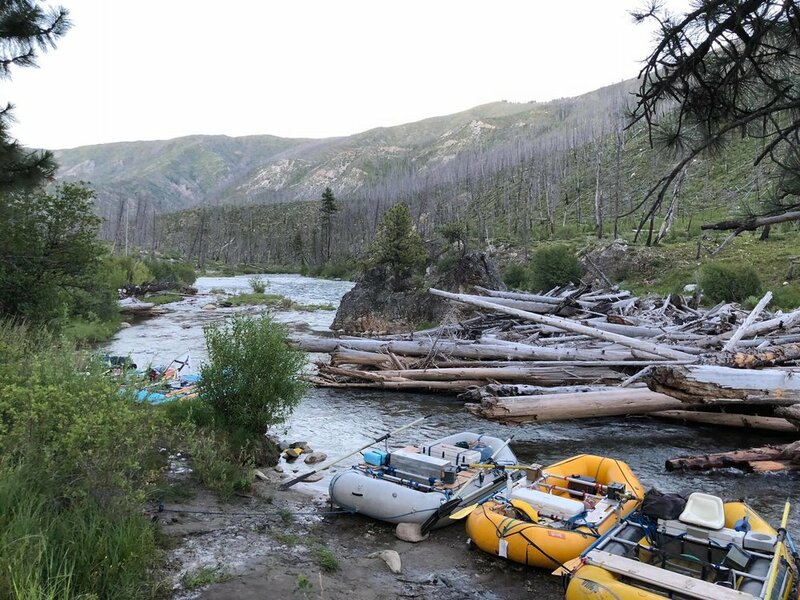 Unlike most other rivers, the campsites aren't just first come first serve, they are assigned before you launch. 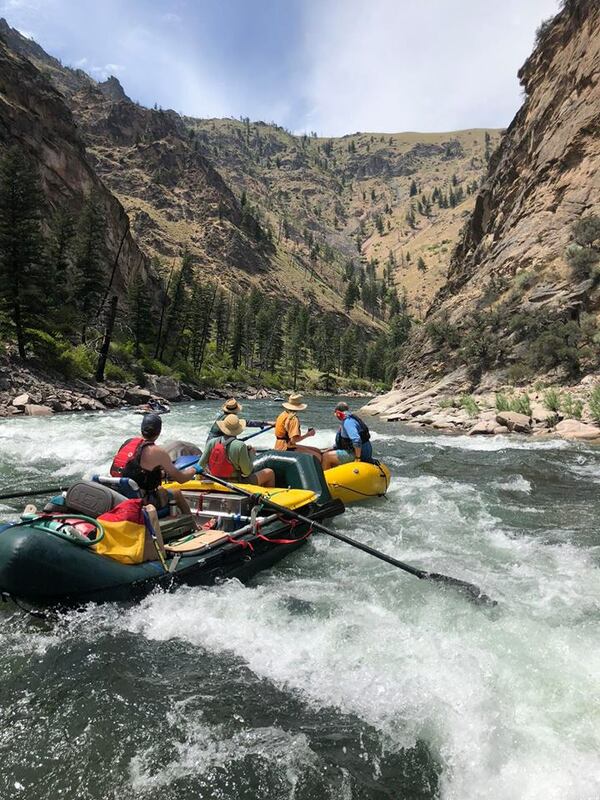 This is good news for private boaters like ourselves because the many companies that run commercial trips every day down this river send sweep boats (huuuuuuuge boats that carry all the camping equipment, food, water, etc. for the group) out early to get to camp and set up before the clients get there. Divying out the campsites prior to launch ensures that everyone gets some good camps- you get one camp with a hot spring on your trip. You heard me- HOT SPRING. The put in is crazy busy. You are allowed to stage at the top of the boat ramp the day before launch and put your boats in the water once the groups launching that day have all left. While you are camping at the put in make sure to go to Dagger Falls and watch the salmon jump up the water fall! I've never seen such natural nature. The crew sizing up the boat ramp. The launch is hectic. Pro-tip: don't forget your fire pan or any other required river equipment or you will find yourself driving back to Stanley to bang on doors and beg for one. It aint fun folks. 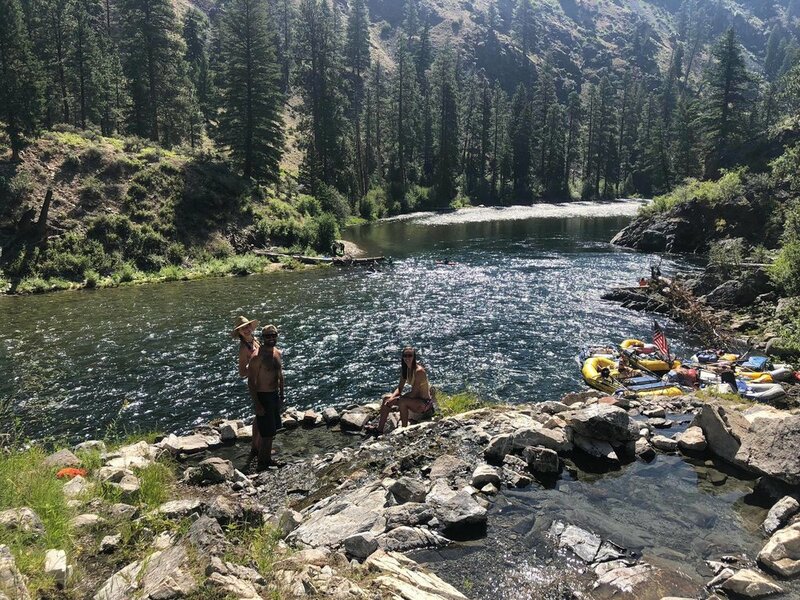 Refer to my multi-day raft trip guide for more info on packing what you need (but apparently take it with a grain of salt??). Scouting a rapid and watching that boat get just a little eaten. See the boat? 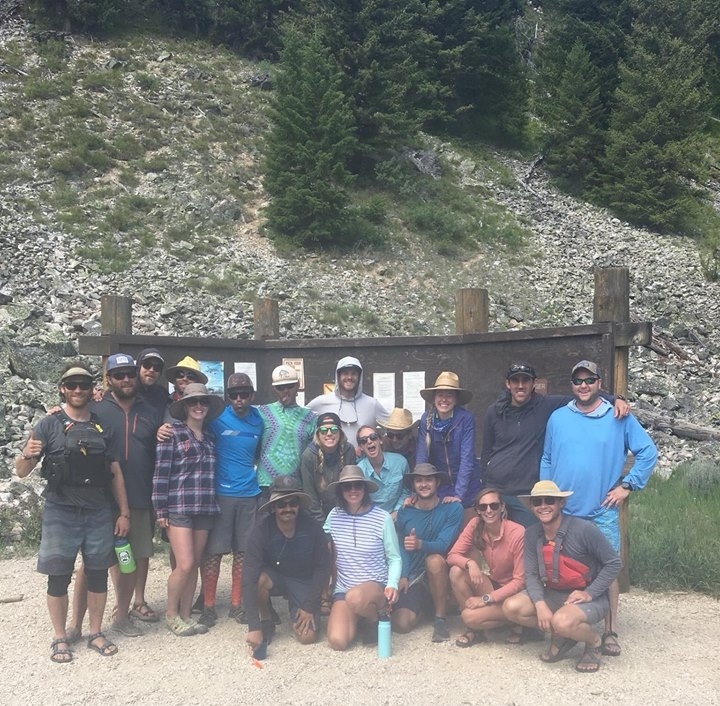 Once you are given the great safety talk by Scout (yes the ranger's name was Scout) make sure she takes a picture of your crew to preserve those special blurry memories. Once Scout gives you the go ahead to launch, you're on the River's watch! We did this trip over the week of July 4th and it was legit daylight until 10:45 so we never had to stress about daylight. We did around 15-20 river miles every day easily. The river was running at about 2.75 feet when we ran it (thats how they measure the level of this river, not cfs) which is pretty low. The rapids were just rowdy enough to be fun, but were super low consequence. I for one definitely want to go back when its running at 6 feet and experience the thunder! We had some great campsites on the trip. Most aren't sandy beaches but still plenty of flat ground to go around. The first two days of the trip were pretty chilly at night so we set up a tent but after that it was just paco pads and stars. We were on the river for 6 days. 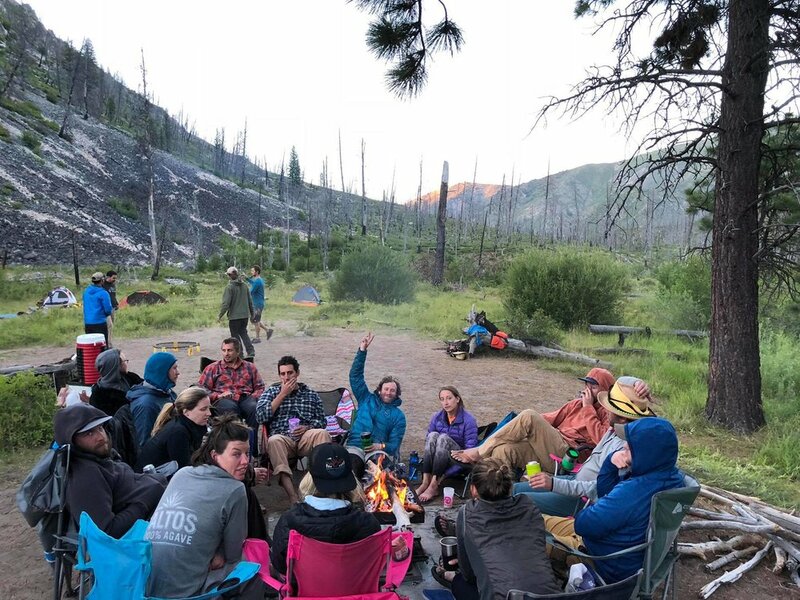 We got our hot springs camp on the 3rd night and it was ahhhhhmazing. 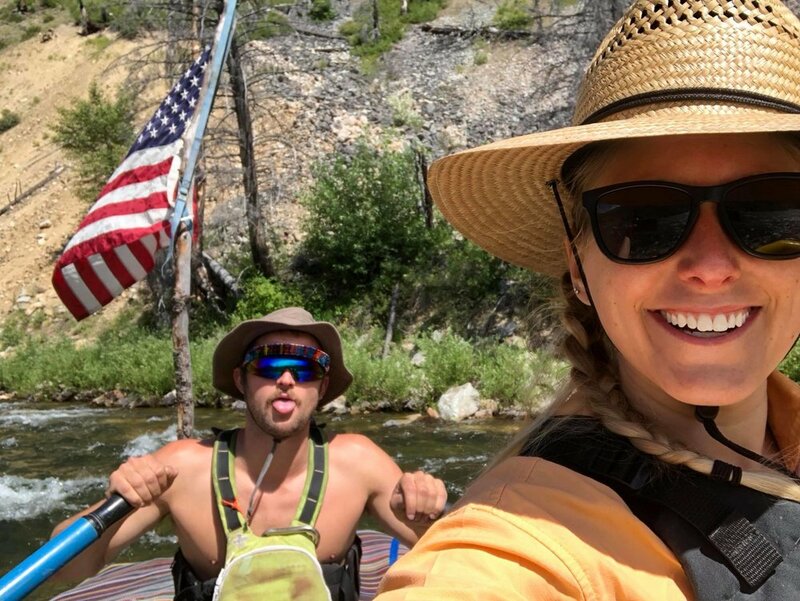 Safety first people- make sure to wear your pfd when dipping your toes in the hot spring! I highly recommend, on any river trip, having a costume night. No explanation necessary right? In sum, you need to raft the Middle Fork of the Salmon. There is a reason everyone wants this permit. There are fun rapids every single day and the scenery and fishing is unmatched. So apply for the permit and prepare to love your life.